10 inch porcelain dinner plate. White with deep blue black line. 5-6 inch dessert bowls or side dishes. A kitchen must! Perfect for just about everything from fresh fruit, ice cream, olives, nuts, rice…. any and all side dishes you can imagine! White with a celadon green rim to enhance the movement of deep blue black line. 9 inch across pasta bowls. 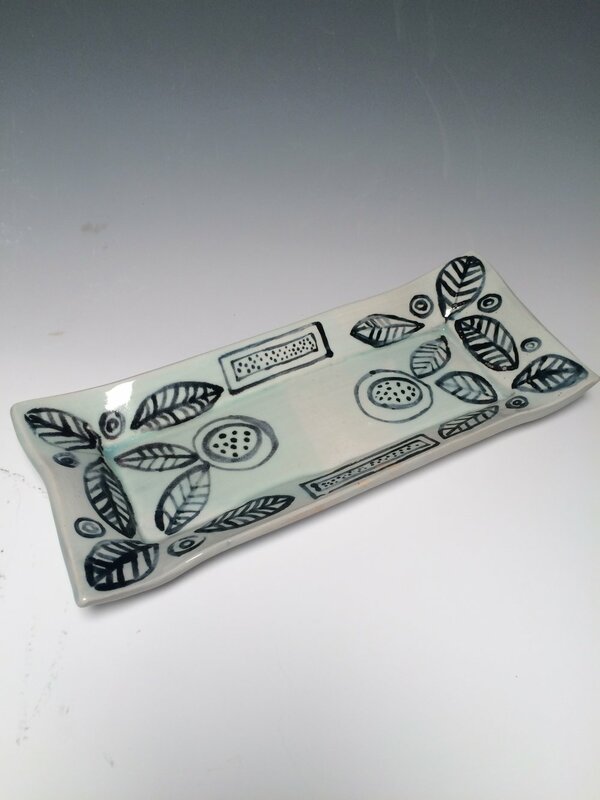 Inspired by traditional Italian made pottery used in my family’s home. Great for salad too. 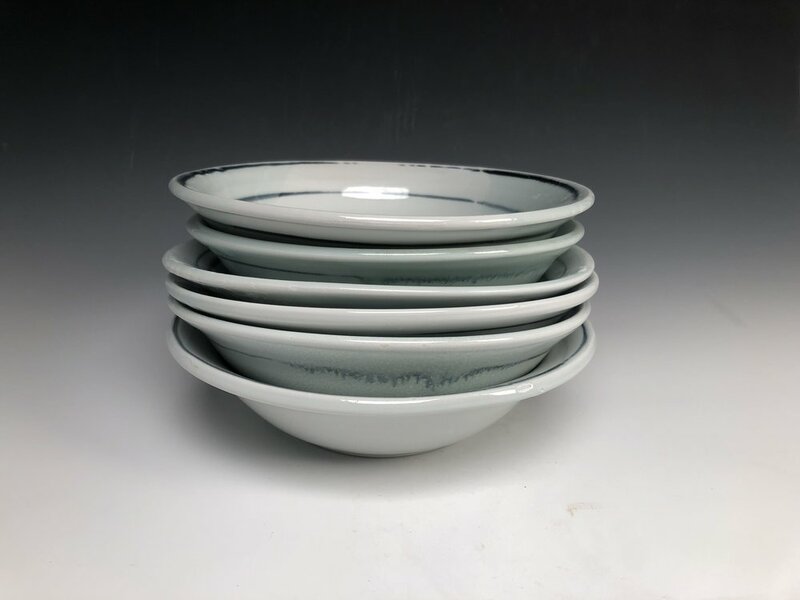 Stacked dinner plate, pasta bowl, and side or dessert bowl. Smaller bowls are 5 inches across. Pasta, soup, salad bowls galore. I basically eat everything out of this shape. Just the perfect depth to enjoy any meal and a gentle rim makes it easy to serve in. Appetizers plates. Tapas. Asparagus.You name it. Approximately 12 inches long.